Opened in February 1911 as the Electra Palace, had it's first sound movie in 1930 then it became the news theatre in September 1945, when it showed end to end newsreels of the progress of the second world war, as these were the days before television, and only recently in the televised gulf wars can younger people understand why people would have been keen to experience a theatre like this. 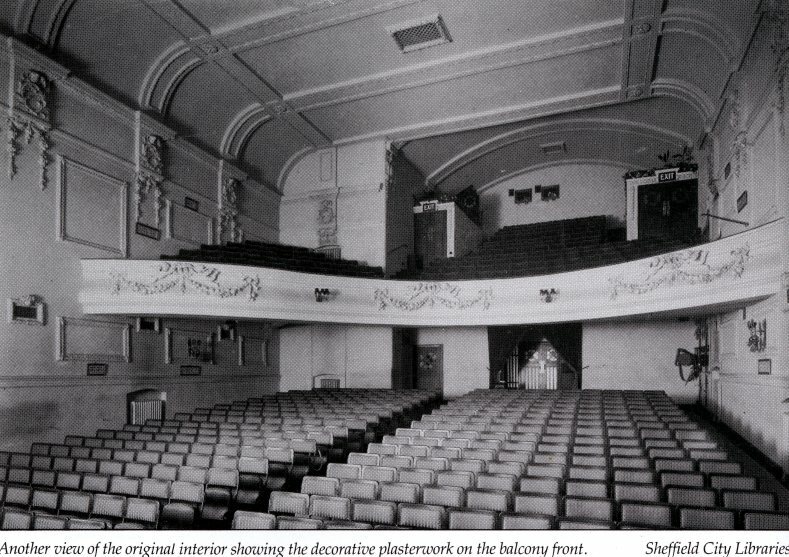 In 1962 the faï¿½ade of the theatre was altered into a more modern appearence, by cutting off the high tower and cladding the frontage in a metal rail system which allowed the hanging of letters to advertise the forthcoming attractions, and current movies. 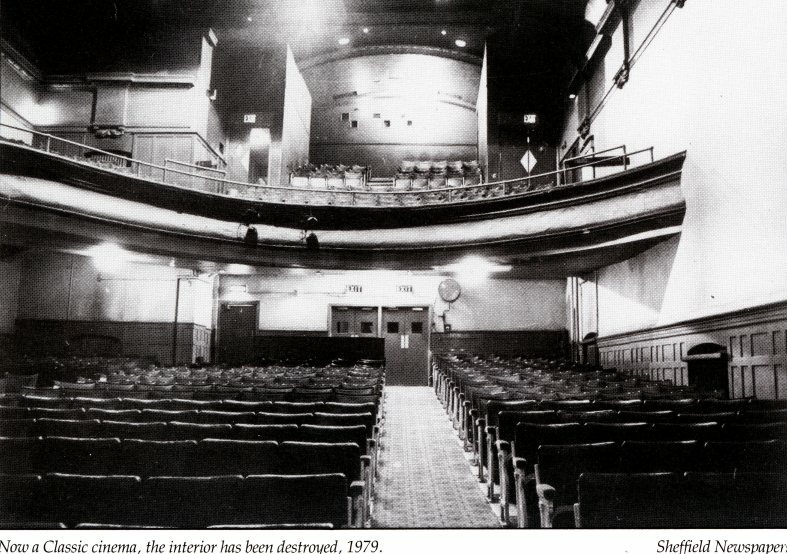 It shut it's doors as a cinema in 1982, and reverted to use as a sale room until it burned down in 1984. I saw an afternoon showing of the Dambusters there......with two mates....and nobody else!!! Anyone remember the alnight Horror and Kung Fu events and the ' Indus ' curry house next door boy am I feeling old now!!. Whoa - I'm glad I logged on today now - those are brilliant pictures ! I remember the Saturday night all night horror shows, a few beers, a curry and then off to The Classic. Getting the first bus home on Sunday morning. Happy days, or indeed nights. Shame about the fire (or if memory serves it was more than one fire) which resulted in the end of the building, but seeing the Electra frontage was spectacular. After my Mother passed away, I took my Dad to the pictures every Thursday night - just to get him out of the house. We went to The Classic to see Gone With The Wind as he had never seen it. He said it was the longest. but one of the best films he had ever seen. This was in 1975. I went on organsied school trips there twice. We saw "The Bellstone Fox" and also "The Amazing Mr Blunden". It was in the late 70's and I remember the cinema being small, old fashioned and antiquified compared the ABC and Gaumont cinemas. of dust to rise off the seats. I kind of remember the cinema had a slight strange dusty smell to it. The very narrow lane/path next to the cinema. You could almost stretch out your arms and touch the walls as the path was so narrow. and a fat person walking down the alley, then you'd get a traffic jam. It would have been really embarrassing as one would have to reverse. I saw my first film here Chitty Chitty Bang Bang in 1969, it was so good my Mum and Dad bought me the sound track and I still have the Album. Ah.. but can you sing the 'chitty chitty bang bang' theme tune all the way through without getting tongue twisted ? Saw my first film there late seventies/very early eighties either a Disney or may have been "The Time Bandits"
Remember one thing that is sadly lacking from todays cinema however, the interval with the ice ream lady! 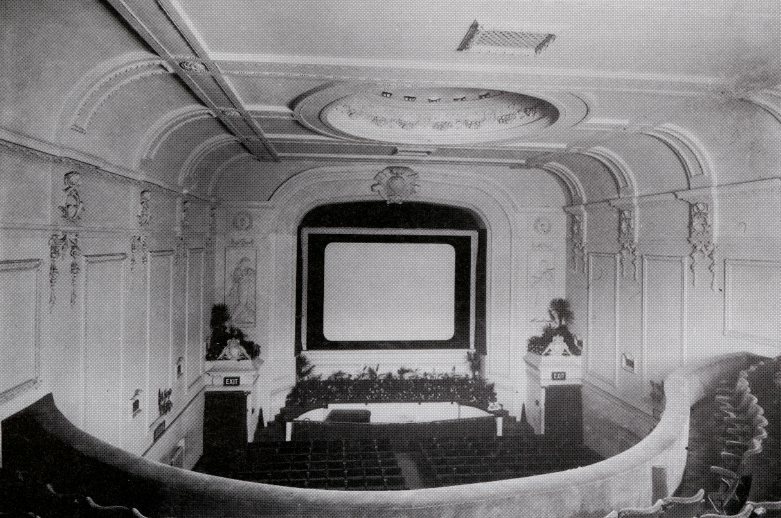 The Classic had a pair of shutterless projectors, the first in Sheffield. 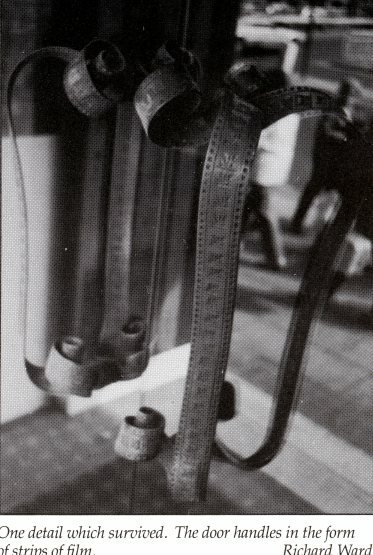 These Philips units used a small water cooled lamp switched on and off, in sync with the film, in place of the usual projector shutter. They worked fine but if you got anything but pure clear water in the system, you ended up with very brown looking whites on the screen. 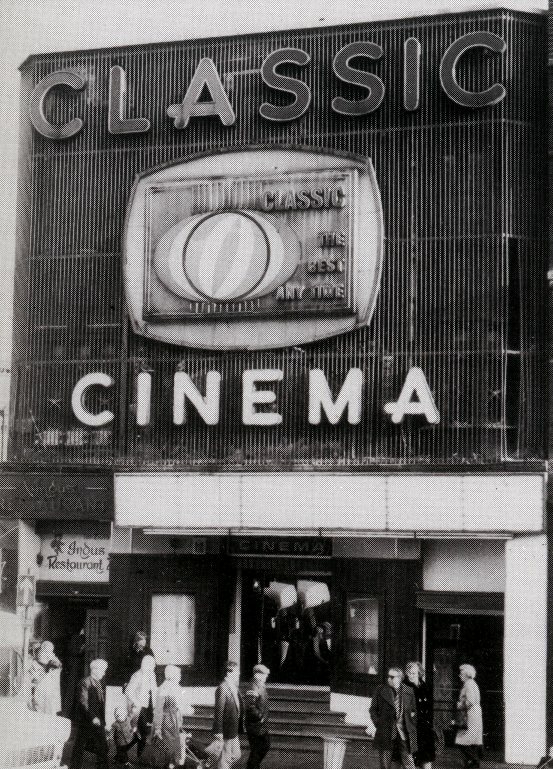 the photo of the "classic" frontage was very interesting. 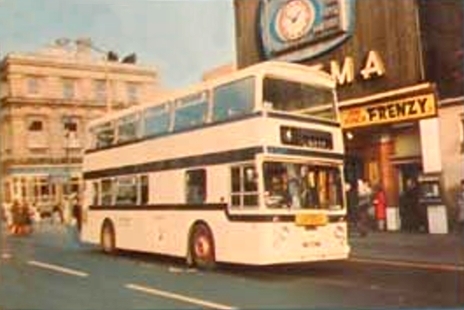 The circular patterned thing in the centre of the hoarding which covered the beautiful frontage of the cinema originally housed a clock. I'm not sure why the clock was replaced by the patterned thing. Not a fantastic photo, but better than nowt. 1 I can remember, about 1944-5, when we used to pay our electricity bills at the premises that became the News Theatre soon after the end of the war. 2. 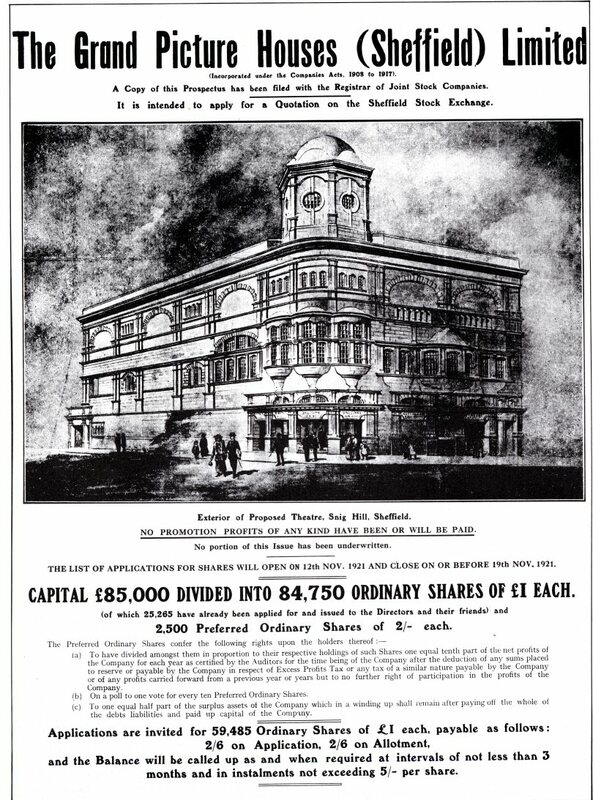 Someone earlier said that the Grand was a theatre that was never built. I think it was situated on the top corner of Bridge Street, about where the old Corporation Restaurant was in the mid-1940s. Interests:Holding mind and body together ! 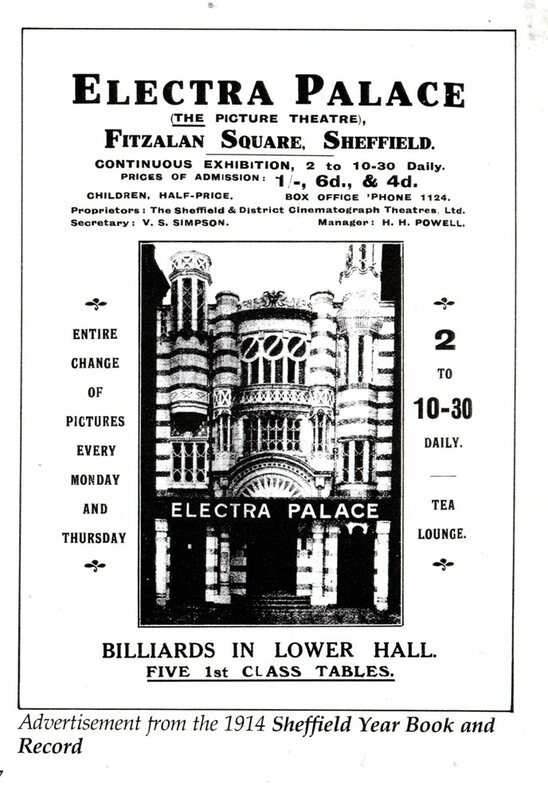 HI Steve surprised no one has mentioned the snooker hall that was under the Electra, agood venue at one time Skeets. when they were pulling the classic cinema down I asked the demolition men if i could have the light that was on the side of the building they said OK , and i have still got it . 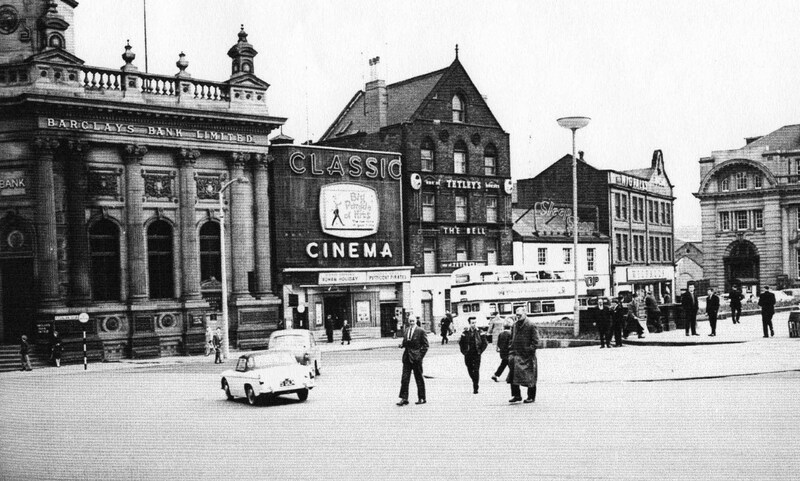 A somewhat uncongested Fitzalan Square and the Classic Cinema, not like today. 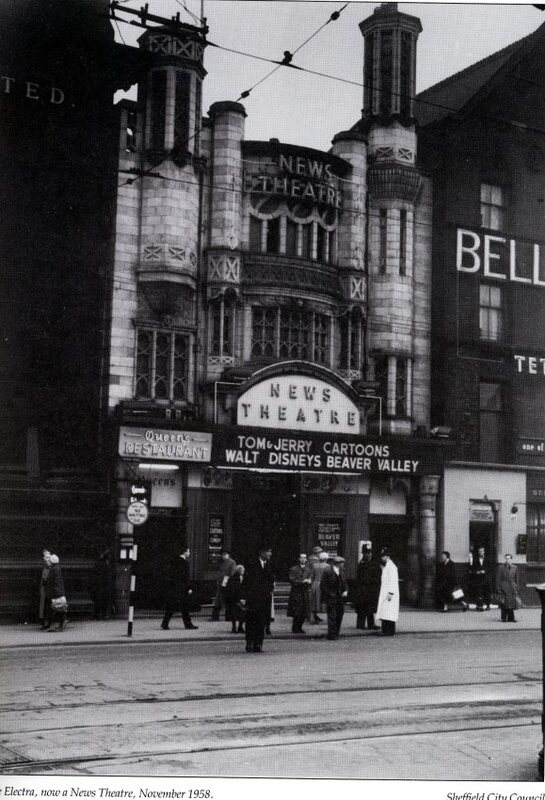 If I was good my mum used to take me to the then news theater to watch the cartoons. Later I seem to remember they wanted to pull down the Wigfalls building but it was listed. About 2 weeks later there was a fire!!! whoops. next thing the building was gone. Does anyone remember the building at the top corner of Snig Hill. 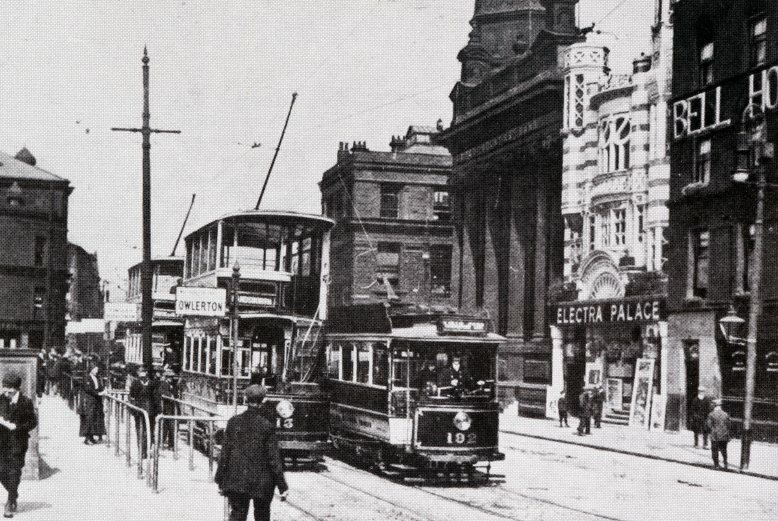 I used to wait with my mom there to catch the tram. 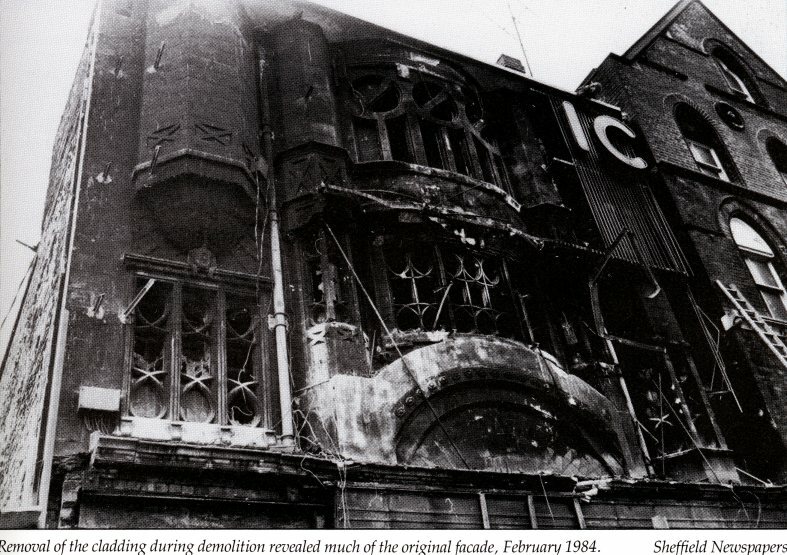 The front was clad in cream coloured tile and there was fire damage showing at all the windows which were metal framed. Must have been set on fire during the blitz.